Underwater drones, autonomous trucks and paperless customs clearance – the future is already buzzing in the Port of Hamburg. The ‘Digital Networking’ conference run by Port of Hamburg Marketing (HHM) showed how far the port has progressed. “In respect of digitalization, the Port of Hamburg is a worldwide beacon offering many USPs,” emphasized Axel Mattern, HHM’s Joint CEO. Dr. Sebastian Saxe, CDO of Hamburg Port Authority, presented an impressive picture of the digital future in his keynote speech. The port’s rail, road and inland waterway traffic is already digitally guided. Experience from the port is of importance for the entire city and applicable to its complex traffic system. Artificial intelligence (AI) in guiding traffic will already be a major topic next year, said Dr. Saxe. The ‘Green4Transport’ project should be networking vehicles with traffic lights and guiding truck columns through intersections. The introduction of 5G in the port as a testbed will facilitate implementation of further visionary projects. This infrastructure offers a superb way of enabling all players in the port to head into the future together. Ulrich Wrage, CEO of the IT provider Dakosy that specializes in logistics, focused his statements on digital culture in the Port of Hamburg. The port has now achieved a digitalization rate of 95 percent. Around 2,000 companies are connected. The primary reason for attainment of this result is trust. To network procedures and speed up processes, competing operators, service providers and customers are giving insights into their data. “Dakosy’s secret is involvement of all players,” Wrage said. That also involves slipping into the role of facilitator. Among other changes, that has led to Customs paperwork increasingly becoming a thing of the past, and clearance already being digitally triggered as the container approaches Hamburg. The Hamburg Vessel Coordination Center (HVCC) is one example of how well networking between the variety of companies and institutions is functioning. Gerald Hirt, HVCC’s CEO, recalls the last two years. Shipping companies, the Nautical Center, competing terminals and – just recently – inland waterway shipping are profiting from this interface. 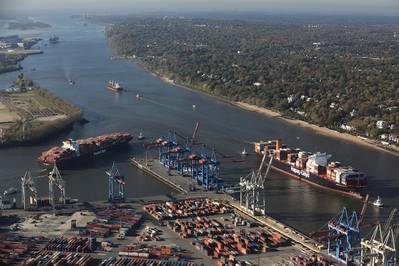 Data from all those concerned, pilots, the Kiel Canal, Elbe Lateral Canal and from Rotterdam are constantly making vessel handling even smoother. 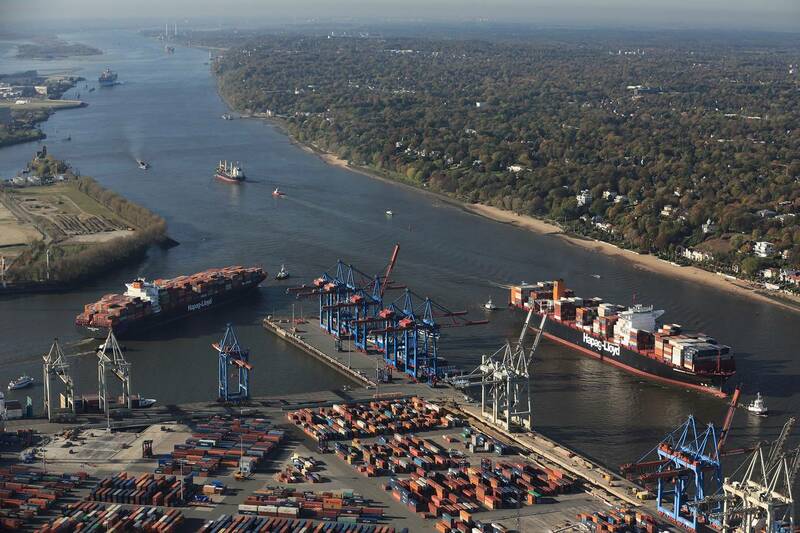 Digital Hub Logistics Hamburg aims to provide further momentum for ‘Port 4.0’ or ‘Hafen 4.0’. This is the first port of call for the digital business transformation of the logistics industry on land, water and in the air. CEO Johannes Berg hopes that the next significant innovation in logistics – comparable with the success of Wirecard in the financial world – will originate in Hamburg. Ingo Egloff, Joint CEO of Port of Hamburg Marketing, sees the key to success as being cooperation between all those involved in the Port of Hamburg. “Successes from cooperation between companies and institutions are abundantly apparent and can form the basis for a joint international success story,” Egloff said.